You could have on the coziest waterproof winter jacket, dreamy snow boots, and amazing earmuffs, but if you don't invest in the warmest socks for winter, you're going to freeze! Standard tennis shoe socks are not sufficient for winter days my friends. Learn from my mistakes and get the right socks to keep your toes nice and toasty all season long. I learned the lesson of warm sock importance the hard way. Moving from Cali, I was all, "Yeah, whatever, I'll put two layers of standard socks on and be golden." Ha. Ha. Ha. What was I thinking?! After two weeks of eternally frozen toes, I knew I was going to have to up my game. My boyfriend let me borrow a pair of his super warm thermal socks and seriously, the difference was like night and day. With my eyes closed, I could almost pretend my toes were back in sunny San Diego soaking up some sunshine. Sadly, since these socks aren't Dorothy's ruby slippers, I couldn't click my heels three times and end up back on the beach. However, I could feel my toes at the end of the day, and that is good enough for me. Though these socks might not be the "cutest" thing on the planet, they work and that's what matters most! Hipster approved 100 percent alpaca wool socks. These come in a variety of styles and colors, so look around to find the pair you like best! Designed to fit perfectly in boots, these are cute, cozy option. I love the firecracker shade of these mega warm thermal socks! Luxurious and ultra-soft. Cashmere can't be beat. OK, these are the socks I stole from my man and they literally saved my life last year. 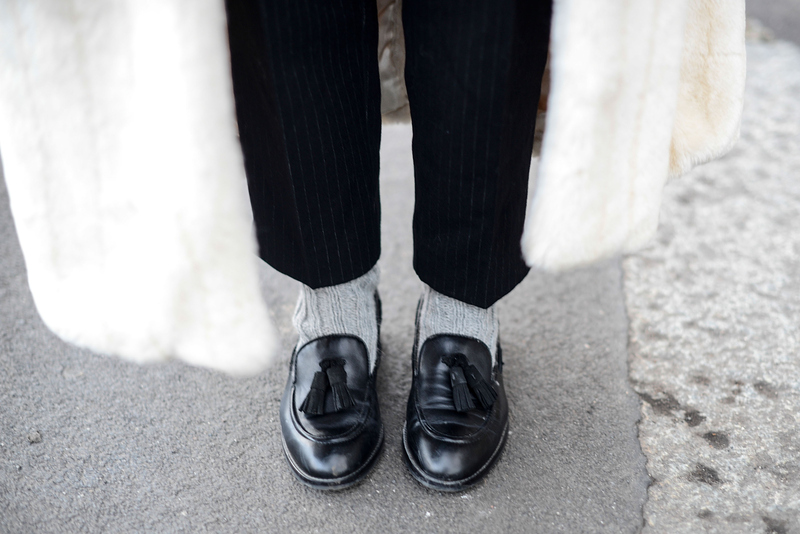 For a little style boost, these herringbone weave cashmere socks are a great choice!